Companies make money on personal data: where is my share? Facebook should pay us a basic income, states John Thornhill from Financial Times. Look at Alaska: for more than 30 years an investment fund financed by oil companies pays all the state’s residents from $878 to $2,072 annually (the sum depends on the success of fund’s investment efforts, not on anything a resident does or achieves). Data is the new oil. So shouldn’t we get something in return for fuelling ad campaigns, marketing research, political technologies with our digitalized lives? Oh, yes, we receive all those wonderful free services and apps: Facebook, Twitter, Google Search and so on. 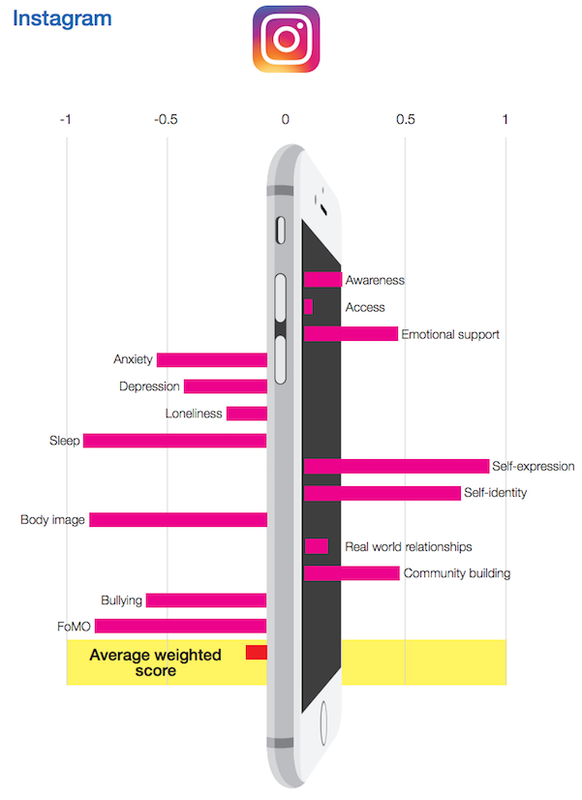 But nobody has yet measured or compared, who receives more: we or them, users or companies. Facebook connects people, helps to receive support, stay in touch, be informed and entertained. It also gives us depression, fear of missing out, sleeplessness, anxiety, and a playground for procrastination. It experiments on us without our consent or a second thought about the consequences. It is really hard to compare how much we give and get, to weigh the harm and the benefit. But haven't we for centuries had a universal equivalent for comparing any economic goods and benefits — money? The idea of exchanging personal data to real money is not new. 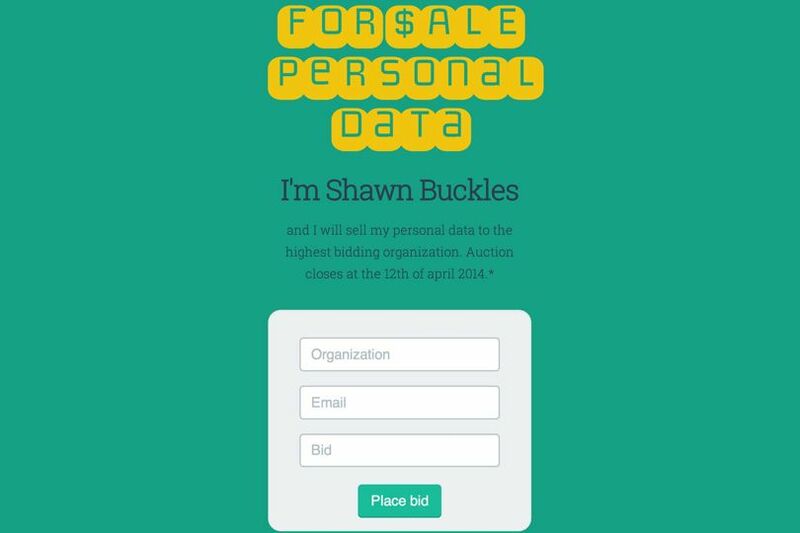 Back in 2014, a Dutch student sold his "digital soul" via an auction. The soul consisted of location records, medical information, personal calendar, emails, chats in messengers, communications in social media, consumer preferences and Internet browsing history. The soul had been bought by The Next Web for €350. The tech news media bought it to make a viral story and "to illustrate the issue of privacy". Even earlier, in 2013, Federico Zannier started the project "A bite of me" on Kickstarter. In 2017, Petter Rudwall from Sweden put his browsing history up for sale on eBay in protest of the anti-privacy actions of the American Parliament. Namely, the new rules for broadband providers that would have allowed them to collect and sell user data. But those are not actually the cases of what we are talking about. Those rather are sporadic symbolic action in order to illustrate an idea, to draw public attention to some issues. Or maybe experiments, or self-promotion. The emerging concept of systematically trading data for money is being much better illustrated by startups that offer themselves as exchange platforms. Datacoup.com calls itself a "world's first personal data marketplace" since 2014. When it had launched, it offered to pay $8 a month for access to data from social media accounts and the feed of transactions from a credit or debit card. Eight dollars. Is it a lot or a little? 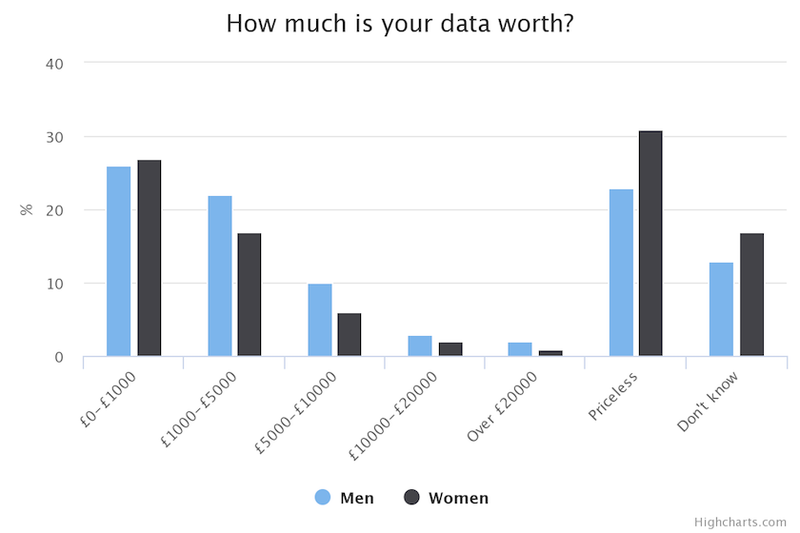 How much money does actually personal data cost? The answer to this question depends greatly at what you estimate. The cost of collecting, storing, and processing data? Investments in technologies that help use data for research or targeting? Money that can be earned using data? payment for which people are willing to share information? In 2013, Financial Times launched a calculator of data worth. It made clear, that data of an average person would not cost even a dollar. In 2015 a poll showed that average British consumers had been ready to sell their personal data for £3,241 (almost $4200). What a dramatic gap. How much money could be made on personal data? 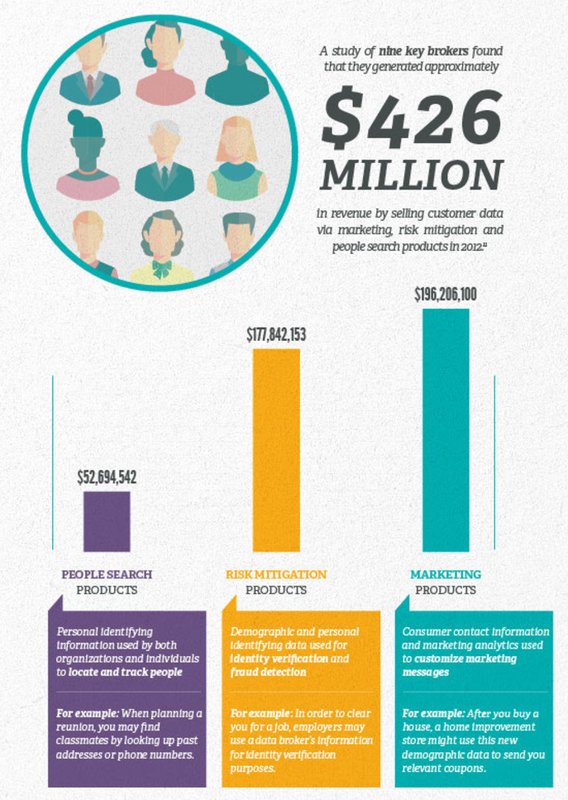 The research of the business of data brokers by MBA@UNC gives us a sum of $426 million in the year 2012. We can only imagine how this sum grew over the period of the next five years. Datacoup's website is at present under maintenance, it says "We're retooling our marketplace to help you earn even more". Are data exchange platforms working yet? Datawallet.io was launched in 2016, but the apps are still "coming soon". The British company CitizenMe, that offers to pay for personal data and use it for research purposes only, appeared the same year. Digi.me is now building a platform for businesses to contact customers directly and purchase their data. Nine more startups with different approaches to monetizing personal data are reviewed here. It’s not clear whether any people have really profited from selling their data with the help of these companies. This all looks rather like a bunch of experiments. Probably, big companies are not interested in mediators of this kind. Why would Google buy something from users if it already has search history, YouTube viewing habits, and payment records? Probably we will need an ethical or a legislative shift, or even both — the whole society would need to change, along with the ways personal data is perceived and managed. And while we slowly drift towards this tectonic shift, we can ponder and decide for ourselves, what personal information we would be ready to sell, what price to demand, and what we would refuse to reveal for any money. Have you decided for yourself? P.S. The funny thing is — Mark Zuckerberg has recently visited Alaska and wrote about their scheme of basic income in his blog. Of course, Facebook is not the only company profiting from user data, and should not be the only company paying for it. But somebody needs to start! This article is for AdGuard Pro for iOS users exclusively. If you are one, there’s a chance you would like to revert to version 1.2.1. How and why — find out here.